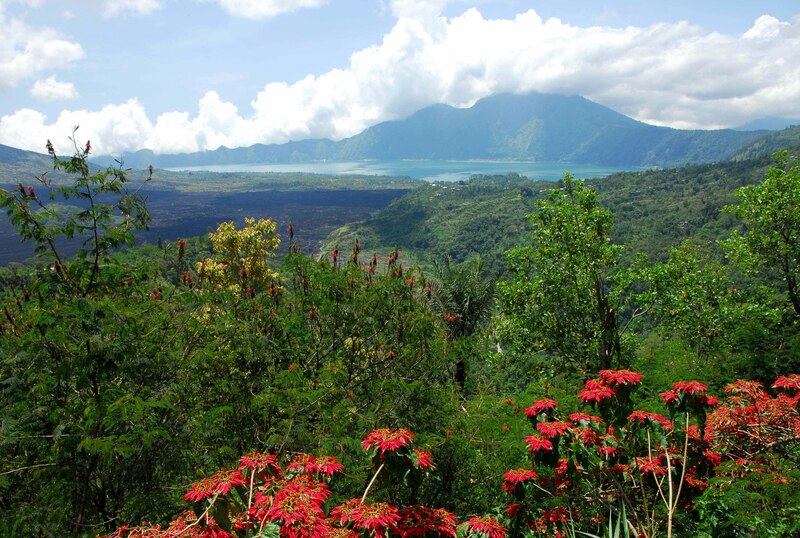 Bali is an island province of Indonesia and one of the safest places in the world to visit. Its people are extraordinarily friendly and they welcome everyone with an open heart. The island is known as a paradise because of its astounding beauty and the wonderful experience that it offers to its visitors. Bali’s legendary beauty is the result of an evolutionary interplay of the people’s highly artistic way of life and the gift of nature. Balinese people are very proud of their island and what they have achieved in the field of arts, culture, beauty and aesthetics. They have developed a balanced way of life based on and guided by the philosophy of ‘Tri Hita Karana’, which involves organising life according to three complementary principles of harmony between man and man, man and nature and man and God. The ever increasing numbers of holiday makers arriving each year to the island has resulted in the industrious and agriculturally self sufficient Balinese people to become increasingly dependent on the tourism economy. 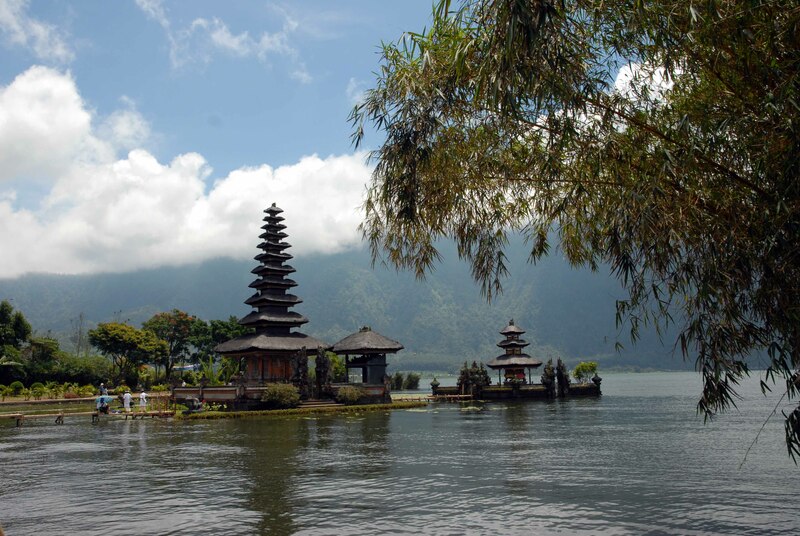 Whenever one visits Bali, in addition to what the island has to offer the tourists, one is most likely to experience some of the many incredible cultural / religious events that take place throughout the year. 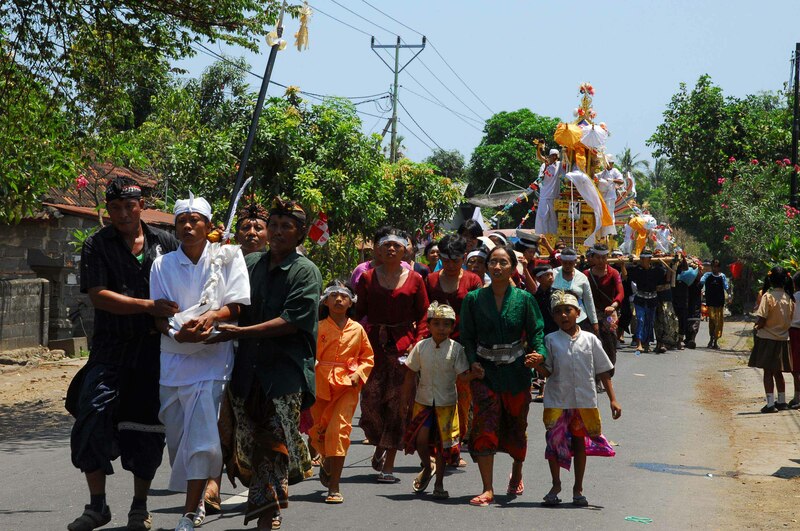 Galungan and Kunningan are the two biggest religious festivals, occurring every 210 days. It is a ten day Hindu festival that starts with Galungan and ends with Kuningan, which represents a ten days of epic struggle between good and evil, which results in the triumph of the good. 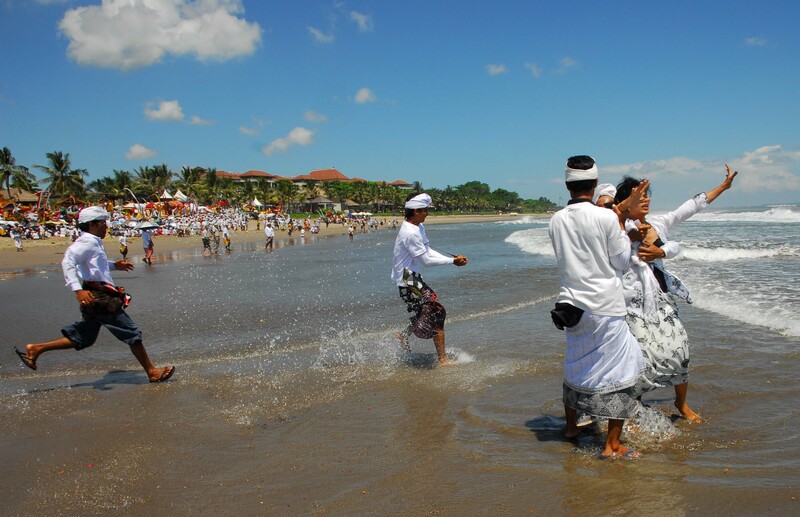 Another festival, Melasti, is a purification religious festival which involves communities going to the seaside or rivers to undertake elaborate purification rituals and it takes many forms. When I visited Bali in March 2009 I experienced three different sea-side Melasti ceremonies and also the incredible Ogoh Ogoh festival. Ogoh Ogoh involves all communities across urban and rural Bali, where each locality builds large figures of demons of a variety of shapes and sizes. 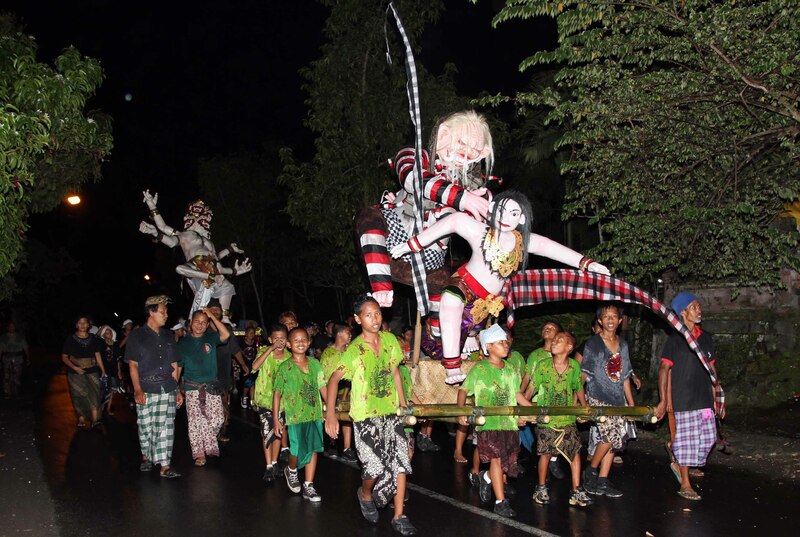 During the Ogoh Ogoh ceremony night, groups after groups consisting of various localities across Bali, carry out demon confusing activities before destroying and or burning them late at night. 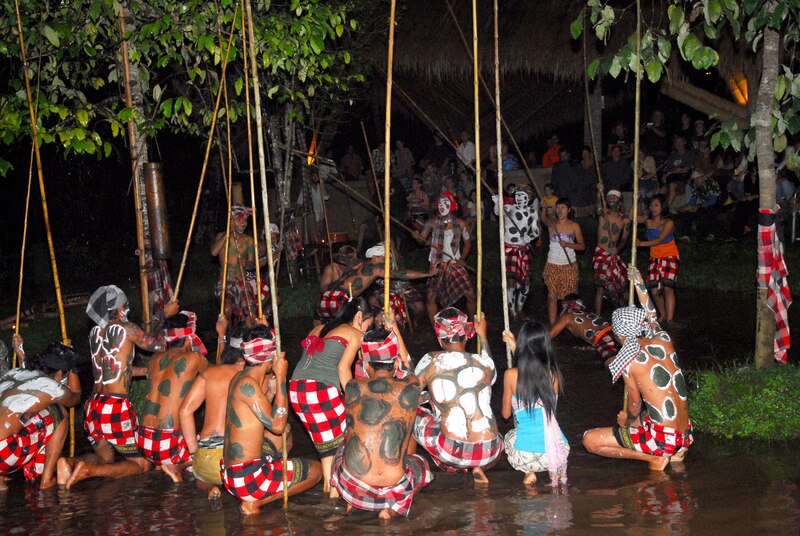 The Ogoh Ogoh night is followed by Neypi day when everyone must remain silent and no one can go outside their houses. They must remain indoors, keep the lights off, not undertake any cooking or make any noise. Even the thousands of tourists who are in the island on the day are locked inside their hotel boundaries. Balinese Hindus believe that by remaining silent on Neypi day the demons think that no one is in the island so they go away. Tourist seems to love the ‘crazy though beautiful’ Ogoh Ogoh night and the following silent day Neypi where they do not mind being locked inside their hotels for about 24 hours to enjoy a lazy and restful time. Other things that one may see when in Bali include mass funeral ceremonies. I was lucky to witness a mass funeral in March 2009, which continued from morning until the evening, involving thousands of people performing funeral rites and cremation ceremonies for about 50 people.Balinese people believe that the spectacular the funeral ceremony the better chance the deceased has to reincarnate in a higher state in their next life. This often means that people who cannot afford to give a good farewell due to financial reasons often bury their dead and postpone the funeral until they can afford an appropriate send off. In order to help people give grand funerals for their deceased relatives authorities in Bali regularly arrange mass funerals ceremonies to make grand send offs affordable. For a long time visitors have been flocking to Bali to experience its culture and ceremonies, to enjoy the hospitality of the people, taste the local cuisines, participate in water-sports and enjoy relaxing in a safe environment. However, on 12 October 2002, just after 11pm local time, a series of bombings by terrorists belonging to the Muslim faith shattered the peace and tranquillity of Bali. 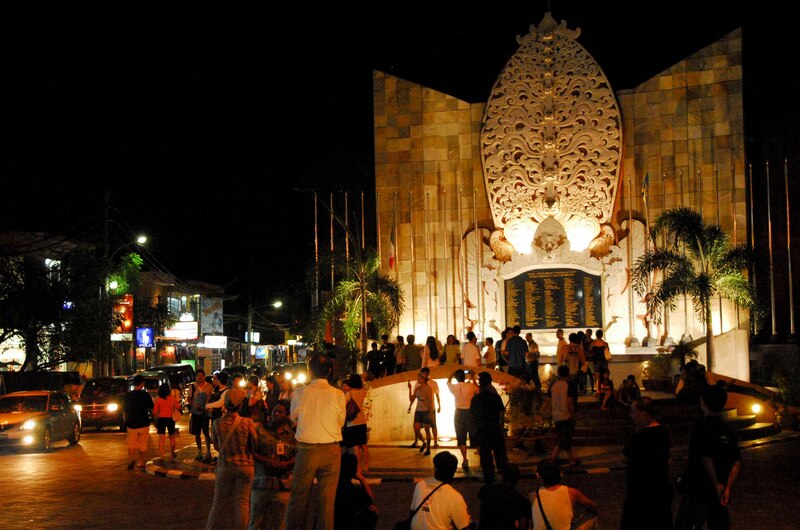 The bombers struck in the very heart of the most popular tourist area in the island called Kuta. The focus of the blast was the Paddy’s Pub in Legian Road, which caused incredible havoc and unprecedented pains and challenges for Bali. In total nearly 200 people lost their lives, including 88 Australians, 38 Indonesian and 23 British. A monument now stands near the spot to commemorate the victims of that tragedy, where night and day visitors arrive there to read the names of those killed, take pictures and reflect quietly. Nobody expected such a disaster to befall Bali and when it happened people could not understand why anyone would want to harm the peaceful island in this way. As tourists left the island in great numbers and others cancelled their trips to Bali, the devastating consequences of the bombing started to affect everyone. Gilda Segrado, the sponsorship co-ordinator of the Kuta Karnival (2009), explained that many people lost their jobs and those that did manage to stay in employment had to take a very big pay cut and, in her own case, it was a reduction of eighty five percent. The Kuta Karnival idea emerged out of a series of meetings held by a small group of people at the Aromas Cafe shortly after the bombing. According to Gilda, people were thinking about what to do and how to deal with the impact of the bombing. One thing she proudly stated was that rather than the tragedy creating a gulf between the Balinese Hindu majority and the small Muslim community who live in the Island the two communities actually came closer. There was a danger that the bombing would have been seen as Muslim Javanese attacking Hindu Bali and as a result increase tension and suspicions between the communities. However, the efforts made by community leaders to promote unity and peace helped avert such an outcome. The execution of the Bali bombers in 2008 by the Indonesian government was seen by many as the closing chapter of the tragic story. September 2009 was my third visit to the Karnival. I first stumbled on a street parade by chance in 2004 when I was in Bali for a short holiday. Although I took many pictures at that time unfortunately I lost most of them when my external hard disk disappeared in London. In October 2008 I visited the Karnival for the second time and I took extensive photographs covering many aspects of the festival. 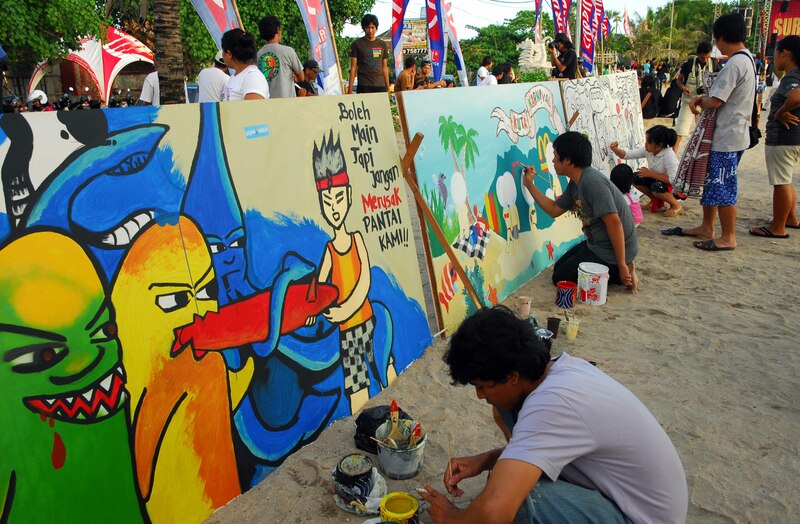 The 2008 Karnival also coincided with the Asian Beach Games, which meant that there were additional activities on Kuta Beach and more people than the usual. Although it was a nice experience I did not make any attempts to meet any of the organisers to find out more about the festival. However, as I have subsequently ventured into developing an exhibition on festivals I planned my 2009 visit more carefully. In 2009 I made efforts to meet a number of organisers of the event and also attended one of the technical briefing meetings of the Kuta Karnival Parade. I met and interviewed two Karnival committee members: Gilda Sagrado (sponsorship co-ordinator) and Made Morgan Suarde (parade co-ordinator). 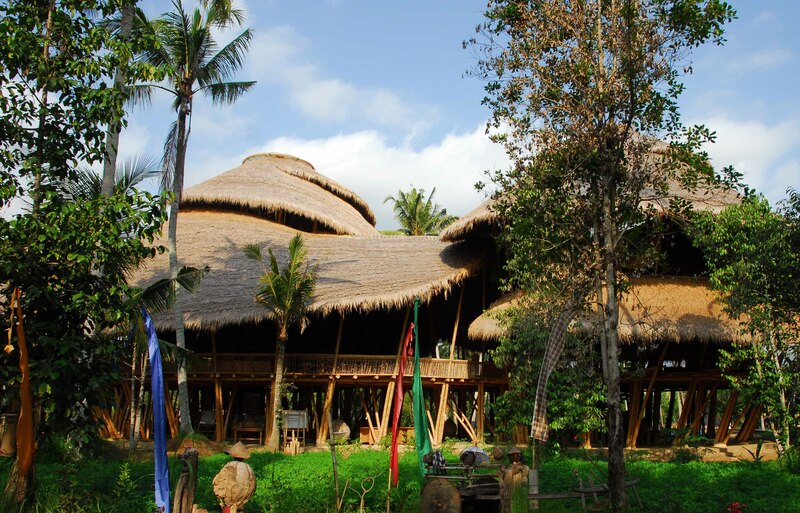 I also had meetings with Mr Handoko and Jhon, who run the X-Treme Arts project; Putu Witsen (founder of Mapangitan Balinese Martial Arts Dance) and visited Bali Timbang, a restaurant in a traditional Bali setting that provides opportunities for groups to learn about local medicine, dye making, etc. Visiting the Green School, with its bamboo constructed buildings and high tech wifi facilities was an inspiration for adopting a greater level of environmentally friendly lifestyle and finding low or zero carbon solutions for energy generation, recycling and living sustainably with nature. The culmination of my visit to the Green School was the amazing full moon night Mapantigan Dance Performance on a muddy and wet rice field. 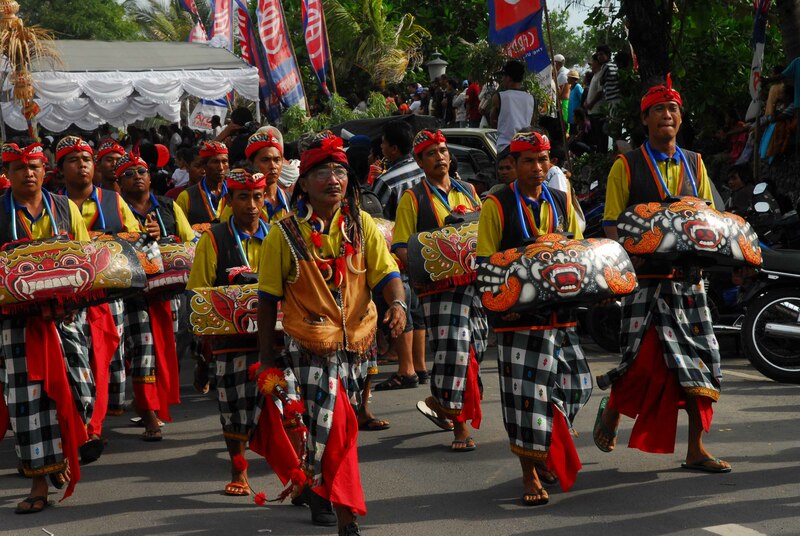 Kuta Karnival 2009 consisted of nine days of activities, which culminated in the 27th September street parade. The festival started on 19th September with an opening ceremony, turtle release and paddle for peace by surfers. Other elements during the Karnival days included a kite festival, puja shanti, morning of the Earth yoga, Mepantigan Balinese martial art, bartender competition, graffiti cartoon expose, t-shirt cartoon competition, sunset dances, mini cartoon exhibition, youth race, beach movie screening, barong reptile show, street art & sand sculpture competition, Kuta young architects, youth info centre, Bali blogger community, environment day, Surfer Girl Big Splash ‘09, Cardinal music awards, Bali food festival and fishing fun. The Kuta Karnival is an initiative of the Kuta Small Business Association (KSBA). 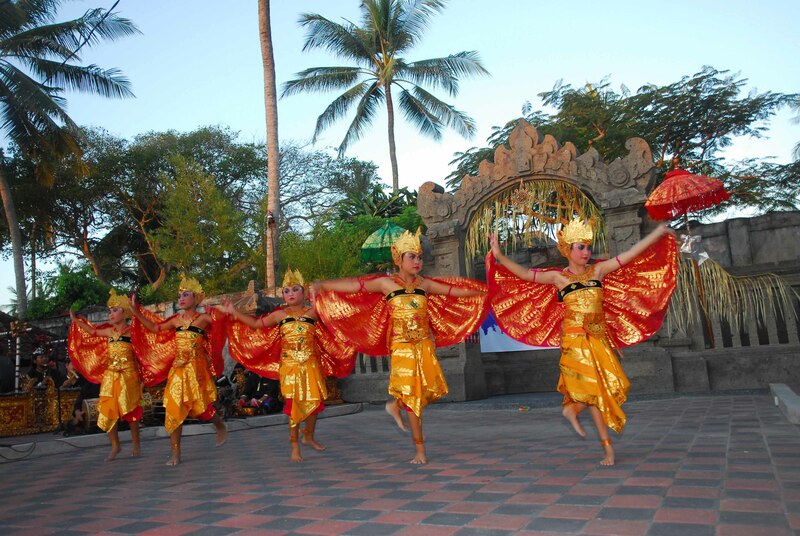 It was originally developed to help reverse the negative impacts of the 2002 bombing in Bali and now the annual event has become an important part of the local events calendar. Gilda informed that while they were discussing how to respond to the situation created by the tragedy, many of their western friends who live in Bali suggested that a commemoration be organised in October 2003 to mark the one year anniversary of the bombing. She pointed out that Westerners like commemorations and people in Bali were concerned that the world media would descend into Bali to look for weeping and sad people remembering what happened in October 2002. However, she stated that crying was not a part of the Balinese way of remembering the dead. Life must go on and death is part of reincarnation and rebirth. 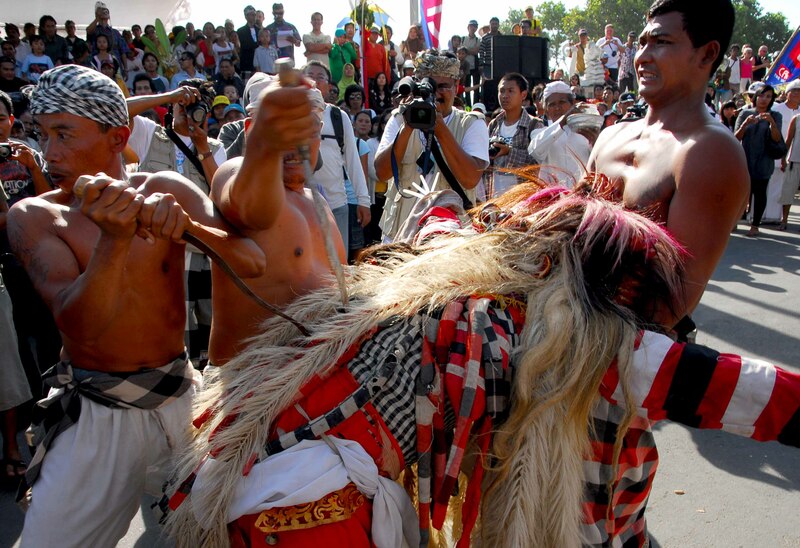 Balinese Hindus celebrate death because the people concerned become reborn into another life and that is why the Kuta Karnival is called ‘A Celebration of Life’. I found the story behind the Karnival to be very very fascinating. 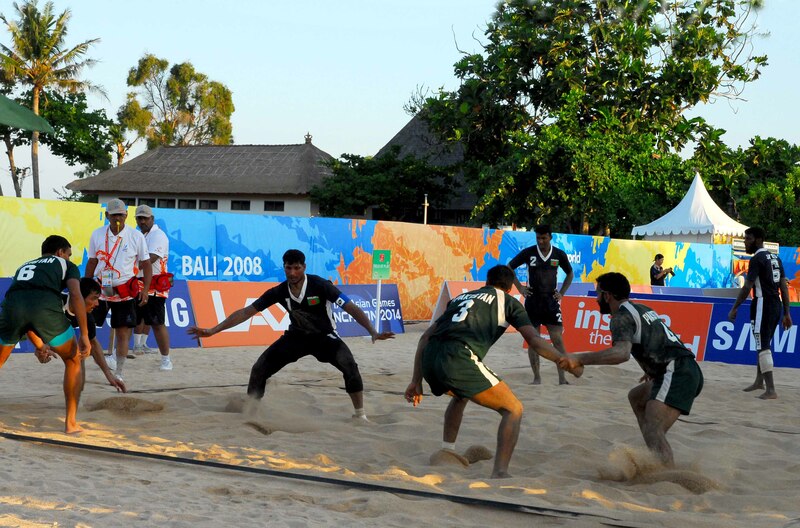 Unlike the normal nine days of the Kuta Karnival, the first one in 2003 was a month long event held from 11th September to 12th October. Links were made with the New York 9//11 tragedy and between the families of the victims. Gilda said that families in USA put up posters of the Kuta Karnival in New York and the Australian Prime Minister John Howard was present on the opening of the first Kuta Karnival. Since 2004 it has been a nine day festival and both tourists and locals flock to the Karnival activities in great numbers. There is something for everyone and the timetable of events mean that one can spend the whole afternoon and evening admiring artists engaged in a variety of competitions, touching dangerous animals, enjoying a dance after sunset, visiting the food festival, attending a concert, watching a movie on the beach and getting amazed by the thrilling fashion shows. On the last day of the festival many more people gathered in various locations on the Karnival parade route and watched and cheered the floats and performers as they passed by and continued with their performances. Just like in previous years 2009 street parade was a spectacular end to the nine day festival. More than 45 groups participated and showcased their colourful floats, dances, performances under the theme of ‘Creative Ecology’. Spectators cheered and photographers and videographers pushed one another to get the best footage. 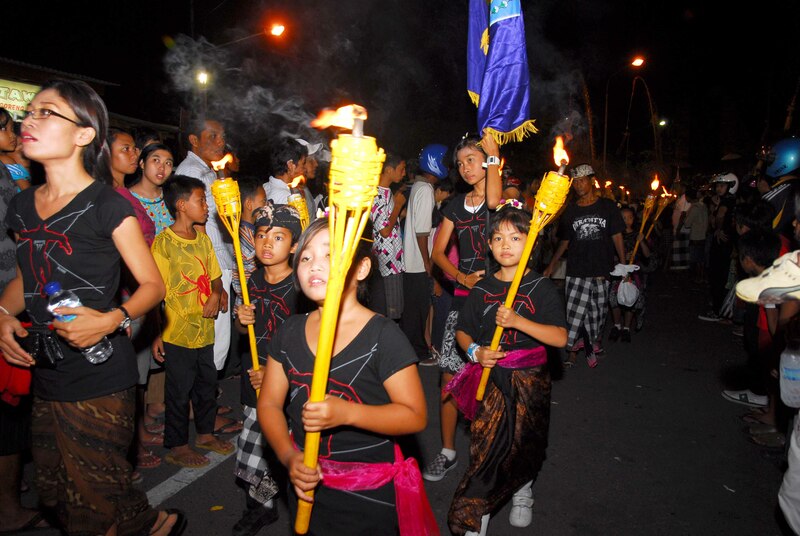 The street parade did not bring a complete end to the Kuta Karnival as the three day food festival continued until the evening of 27th September. At the last night of the Food Festival people came again in large numbers to the food zone creating a bustling and noisy atmosphere with aromas of grilling and frying filling the air. There was an incredible buzz all around. The food on offer was very cheap compared to local restaurants and covered local delicacies, western items, Indian cuisines, Japanese food and many others. Next to the location of the food festival there was a big stage running concerts and fashion shows. Overall the Kuta Karnival had a good mixture of local Balinese culture at its best and modern western style concerts and fashions shows. 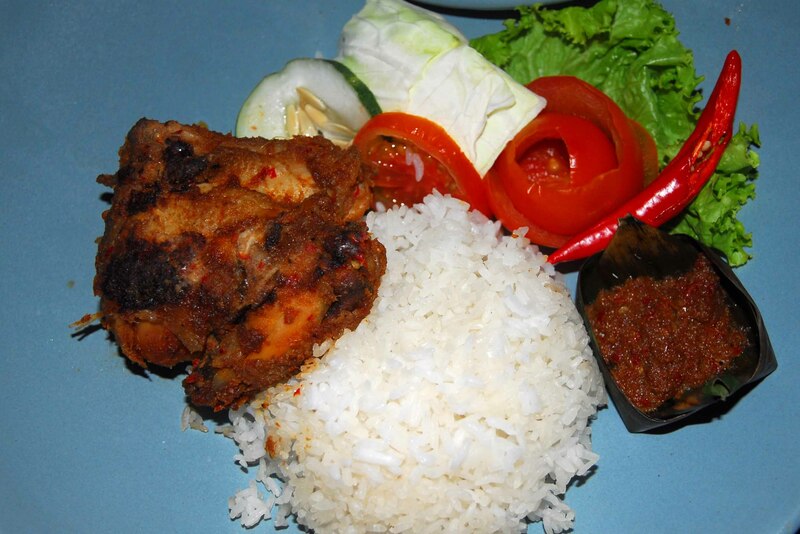 This combination made the whole Karnival experience very appealing to all sorts of people. After a few days of arriving in Bali I made contact with Morgan Made Suarde, the Karnival Parade Co-ordinator, to get more information about the street parade. As Morgan Made was very busy organising the parade he could not give me a proper interview before the parade on 27th September. However, he invited me for a short introductory meeting at the Aromas Cafe where I explained about my interest in festivals around the world. We arranged to meet again after the completion of the Karnival. 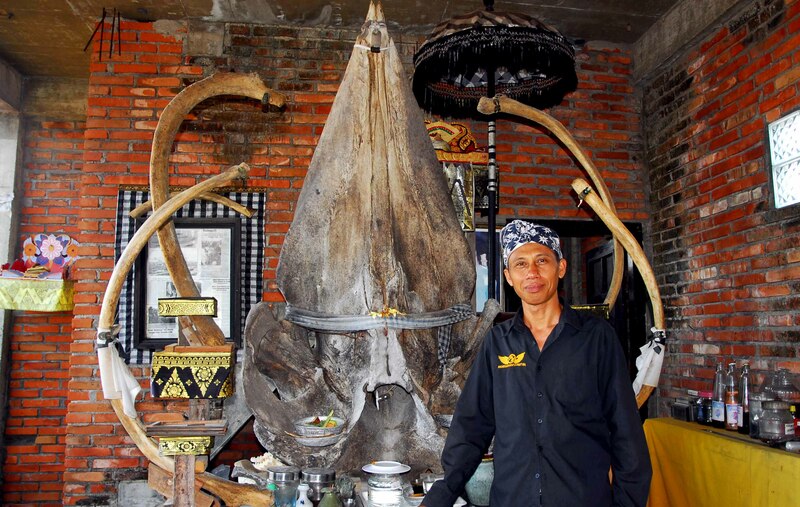 Morgan Made invited me to visit his house and before sitting down to discuss the Kuta Karnival he took me to the second floor of one of the buildings within his housing complex and showed me a huge whalebone which he found on the beach about seven years ago. He made the room into a temple and provided me with more information on the circumstances of the finding and the significance of the bone. His time in New York in the early 1990s, where he went to promote Balinese culture, and the efforts that he has been making to restore the true caste of his family within the social order of the Balinese Hindu community were among a variety issues discussed while drinking Balinese coffee. Although I thought the Kuta Karnival 2009, including the closing street parade, was a superbly organised and very enjoyable festival, the organisers, including Morgan Made, were not entirely happy with the event. It emerged that at one point the parade nearly did not happen because of the lack of a sufficient number of confirmed participants. The main reason was the Muslim Eidul Fitri period just before the Kuta Karnival. 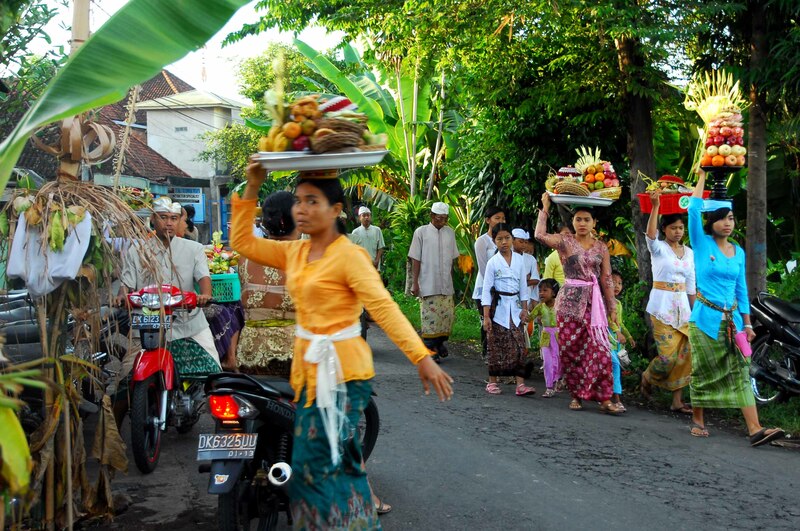 Many Muslims from Java work in Bali but during religious holidays a large number of them return to their towns and villages to be with their families. This meant that many businesses and organisations that employ Muslims from Java had a shortage of staff and therefore could not practically make a commitment to participate in the Karnival parade. Many provinces within Indonesia also could not send their performers for the same reason. This resulted in a reduced number of groups participating in 2009 Karnival. The organisers plan to prevent such an outcome again in the future by carefully choosing future dates of the festival to ensure there is no clash with Hindu, Muslim or Christian religious festivals. They will set up a foundation to generate funding well in advance to create more financial security, and allow early preparation for each year’s festival. Morgan Made expressed the hope that over time the Kuta Karnival will become more international and attract participants from Singapore, Malaysia and Thailand. Although the Bali bombing 2002 was an unprecedented event for the island but the way that the people responded to the tragedy was quite unique and admirable. The death and destruction caused by the bombing did not lead to an increase in anger and hatred in the island against Muslims. Rather, the Balinese people chose to celebrate life instead, in response to the tragedy, and prevent the bombers from achieving their goals of poisoning relationship between peoples. There are important lessons in this for everyone to learn. It is wonderful how the human spirit prevails in such tragedies. As you say, the way that the people responded to the tragedy was quite unique and admirable. Many ordinary, everyday people helped after the bombing occurred. Unfortunately, their assistance is not often not well known or documented due its sensitive nature. For example, the identification of the victims was naturally extremely important to those who had lost a loved one. DVI (disaster victim identification) is complex and here is the story of an Australian forensic scientist, Barry Robert Blair whose world class work was pivotal in Bali’s Disaster Victim Identifications in 2002. He compassionately provided the use of his program BRB Stats on a humanitarian basis for both Bali and The Boxing Day Thai Tsunami. Barry Blair developed BRB Stats – a program that performed Genotype Frequency/Match probability calculations and, for the first time, made available a means for high throughput calculations for Missing Child, Missing Parent, Paired Kinship, DNA Matching and disaster victim identification (“DVI”). Prior to the development of BRB Stats all calculations for Missing Child, Missing Parent and Paired Kinship matching had to be performed manually by Queensland Health staff which was both time consuming and very difficult to perform and interpret accurately. Mr Blair ultimately convinced Queensland Health’s Forensic Biology unit of the benefits of using the software and the unit agreed to pilot BRB Stats in November 2001 and since that time has continued to use the program. The software has been revised and the code updated to make it more robust since then, again, in Mr Blair’s own time. System administration and maintenance has been performed during working times by Queensland Health employees in order to apply the software to the department’s requirements. Since developing BRB Stats, the program has become internationally recognised as the most efficient and accurate DNA matching software available for DVI. BRB Stats was updated by Mr Blair for DVI functionality following the Bali bombings in 2002 and was used by the Australian Federal Police (“AFP”) in association with the CrimTrac system. At that time the tools available to the AFP for DVI were unable to perform the functions incorporated into BRB Stats. The BRB Stats software developed by Barry Blair was used exclusively to identify 67 of the 188 positive victim identifications with the other identifications being performed by dental and standard identification processes. BRB Stats was also used in the wake of the Boxing Day Tsunami disaster of late 2004. The use of the software and Barry Blair’s services were specifically requested by Hermann Metz, Joint Chief of Staffs of the Thai Tsunami Victim Identification Operation (“TTVIO”), by letter of 7 May 2005. BRB Stats enabled victim identification to be completed much faster and cost effectively than other programs that were available at the time. Hi Barry if you want , you can write a piece in detail about your effort and we’ll be happy to publish it. Alochonaa Admin.